What is a private domestic well? Why is it important to regularly check water quality and wellhead structure? How often should a private domestic well owner check the water quality of their well? Why does the RDN offer cost-sharing initiatives for groundwater protection? What is the well casing stick-up? What is a surface seal? Why should a well be closed? irrigation of a garden (including a lawn) not exceeding 1,000 m2 on the same parcel or a parcel immediately adjacent to the dwelling. Any other uses are considered non-domestic and require a Groundwater License from the Province. In the region, 42% of residents depend on groundwater; a large proportion of these residents have their own private well that they manage for their drinking water. Improperly constructed or poorly maintained wells can act as a direct pathway for surface contaminants such as manure, petroleum products, and fertilizers to enter the groundwater. Stewarding our shared groundwater resource helps communities maintain healthy water supplies for families, fish, and our future. Island Health recommends bacteria tests completed one to three times a year. Ideally during high rains when surface water could more readily contaminate groundwater, whenever major work is completed on main plumbing lines, the well pump or wellhead, or whenever someone with decreased immune functions (i.e. elderly, young children, auto-immune disorder, etc.) will be consuming your well water. Full chemical analysis is recommended every 3 to 5 years. In order to assist residents in maintaining and improving groundwater quality in rural areas, the RDN is offering rebates for well water quality tests and well protection upgrades. Decrease financial barriers to rural residents in improving their well construction. Increase access to water quality testing for rural residents. 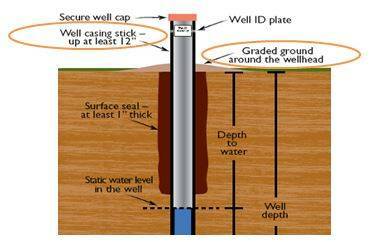 Prompt well owners to inspect the integrity of their wells and learn more about water quality protection. A secure well cap is to prevent direct and unintended entry into the well of any water or undesirable substances or vermin. It is bolted or screwed down and provides a complete coverage to the top of the well casing. For dug wells, the well cap is usually concrete or metal sheeting. 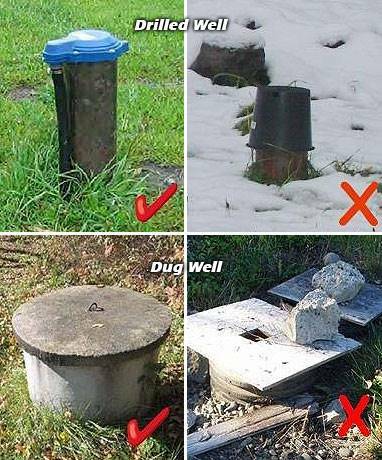 If your well does not have a secure, vermin-proof cap or cover, you may be able to replace the well cap yourself. However, some types of caps require a well driller or pump installer to install correctly as it is more easily dropped into the well and sometimes involves working with the pump's wiring. It is not recommended that well owners try to install this type of well cap on their own. The well casing stick-up is to help flood-proof the well and prevent water at the ground surface from entering the top of the well. The stick-up should be at least 30 cm (12 inches) above ground surface or from the floor of the pump house to the top of the casing. The ground around outdoor wellheads should be graded, mounded or sloped to drain surface water away from the well. Upgrades / retrofits done to the well casing must be performed by a qualified well professional. Grading / mounding of the ground around the well can be done by the homeowner. Usually comprised of bentonite clay, the surface seal is to prevent contaminants from the surface or shallow subsurface zone from entering the well. Seal must be at least 2.5 cm (1 inch) thick. Please Note: With respect to surface seal retrofits (upgrades), this work is not done solely as a matter of course (i.e. just because it is an older well and not likely to have a seal). In many cases the cuttings or rock flour surrounding well casing acts as an adequate seal, and trying to install a seal later can damage the well or effectiveness of whatever seal exists. 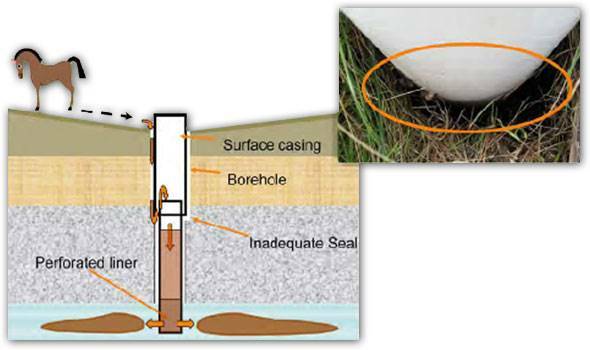 The surface seal can be retrofit in cases where a Qualified Well Driller recommends it, because of physical evidence such as a visible unfilled annular space, visible seepage on the inside of the casing from shallow fractures or from where the casing intersects bedrock, or if one is able to physically move the casing around (loose casing), or geochemical evidence that suggests entry into the well of shallow surface water such as high total coliforms. The methods to retrofit a surface seal vary depending on the nature of the problem, and can be technical (e.g. installing an internal liner, or over-drilling the existing casing), and not just a case of pouring a few bentonite pellets down the outside of the well head. Wells that have not been used for ten years must be closed under the BC Groundwater Protection Regulation. Closing a well means backfilling and sealing the well. If a well has been found to be an irreconcilable point of groundwater contamination, closure may be recommended sooner. This must be performed by a Qualified Well Driller. 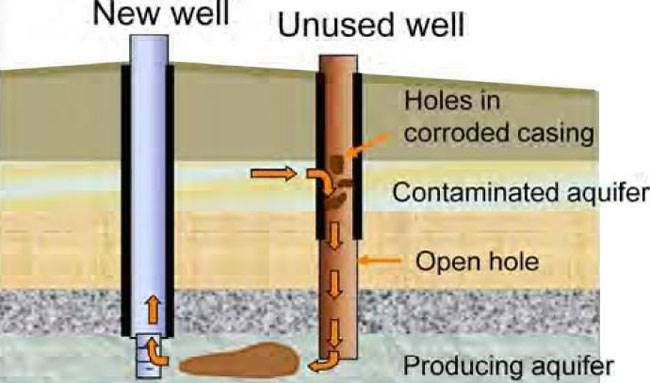 Please see the Best Practices for Well Closure. Otherwise, a well can be deactivated rather than permanently closed so it is available for future use, but protected properly from surface contamination in the meantime. See the BC Groundwater Protection Regulation for more details. DID YOU KNOW? Groundwater contributes to stream flow during the summer months. DID YOU KNOW? Your well is drilled into an aquifer (the area underground where spaces between gravel, sand, clay, or rock fill with water) that is shared with neighbours that have wells drilled into the same aquifer - your wells are connected! DID YOU KNOW? Information on your well may be obtained from the provincial WELLS Database? However, not all records have been submitted to the database. 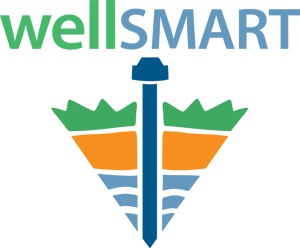 If you would like to submit your well log or any information about your well, please see our page on Submitting Well Records.